The US Treasury took fresh aim Tuesday at the international network funnelling dollars and euros to Iran's Islamic Revolutionary Guard Corps (IRGC), naming 25 individuals and entities for financial sanctions. 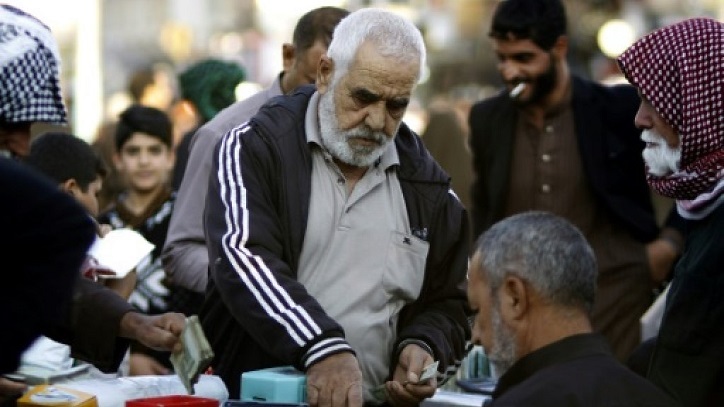 The targets were front companies of the IRGC-controlled Ansar Bank and Ansar Exchange in Iran, Turkey and the United Arab Emirates, that have collectively been able to move more than $1 billion for the Tehran regime, the Treasury said. "Any foreign financial institution that knowingly facilitates a significant transactions for any of the individuals or entities designated today could be subject to US sanctions," the Treasury warned. The 25 named were mostly relatively small trading and money exchange firms, dubbed by the Treasury "front companies," and their owners and managers who worked with Ansar Bank and Ansar Exchange. In addition key figures in Ansar Bank and Ansar Exchange were designated for sanctions.